Netflix's hit show Orange Is the New Black is coming back for a third season on June 12th. 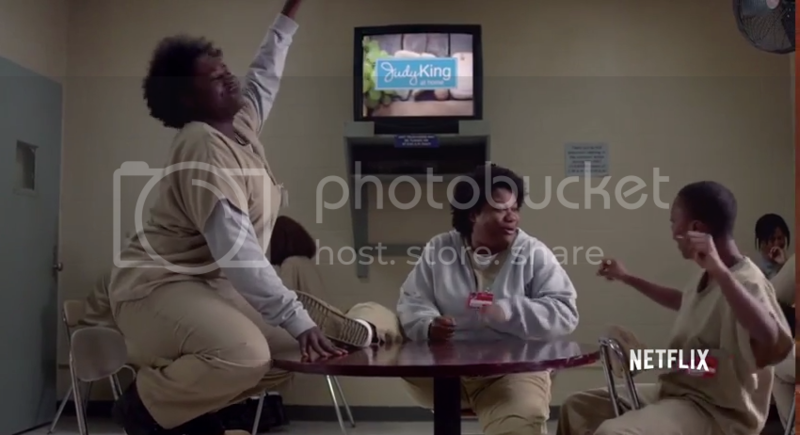 Alex is back at Litchfield, and it looks like Vee is gone. The rest of the cast looks like they're back to their old shenanigans. Uzo Aduba won an Emmy for her phenomenal portrayal of Suzanne "Crazy Eyes" Warren last season, and it looks as great as ever.